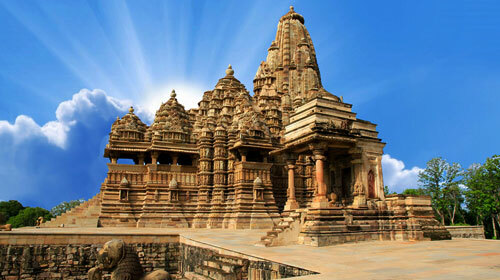 The Khajuraho temple is a group of temples that are of Hindu, Jain and Buddhist temples situated in Madhya Pradesh. This temple is regarded as one of the UNESCO world heritage sites. The Khajuraho temple is situated in Madhya Pradesh at the small town of Khajuraho. The temple site is located within the Vindhya mountain range. This temple was built to reflect the ancient culture of building temples at places where the Gods love to pray. Among all the monuments, the Kandariya Mahadev temple is the most visited. The temples are open from visiting from 8.00 am to 6.00 pm. No specific dress code is recommended for a visit to this temple. Still, costumes covering upper arms and legs are suggested as a mark of respect to the temple customs.